President Obama continues his "Main Street" tour with a stop in Youngstown, Ohio, on Tuesday. 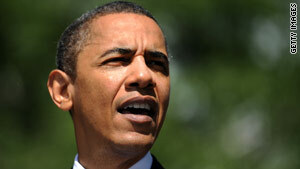 (CNN) -- President Obama visits the Youngstown, Ohio, area on Tuesday to continue his tour of main street America. In recent weeks, the president has visited Indiana, Iowa, Missouri, and New York to tout the improving economy and more recently, positive jobs numbers. Youngstown is considered a "Rust Belt" city where steel manufacturing once thrived. But the city has long suffered from a declining economy and a shrinking population. The area has seen some success in recent years by creating high tech jobs. In Youngstown, the president is expected to tour the Vallourec and Mannesmann (V&M) Star factory. The plant makes steel pipes for the oil and gas industry. In February, it used economic stimulus funds to expand and create more than 300 jobs. During his last stop in Buffalo, New York, on Thursday, Obama said that economic growth will continue next year, but he warned the nation will face hard choices as it tackles the federal deficit. "We can say beyond a shadow of a doubt today we are headed in the right direction," he said at a town hall appearance. "Next year's going to be better than this year.